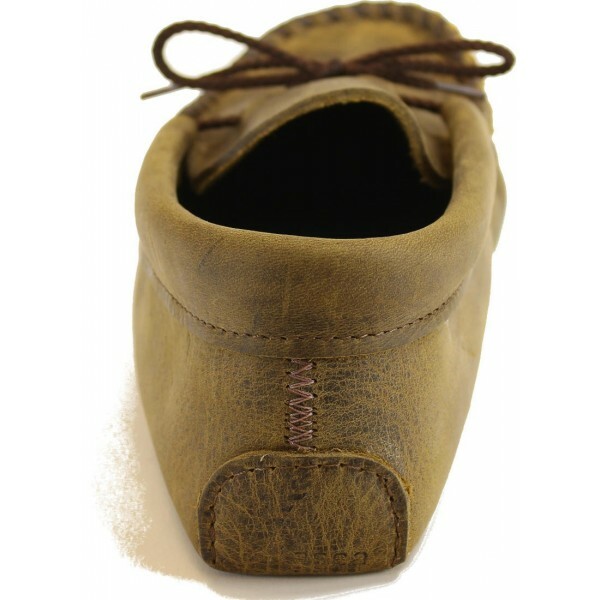 Over time our leather preferences evolve and right now we're deep into a phase where we're particularly fond of rustic leathers, especially those with a high level of pull-up effect — a treatment in which oils that are infused into the leather during the tanning process can be pushed to the surface with pressure from the backside or with creasing. 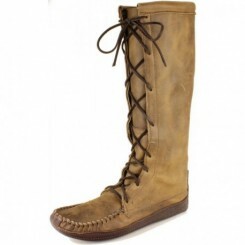 In our opinion, it's these leathers that keep getting more attractive with age and use. 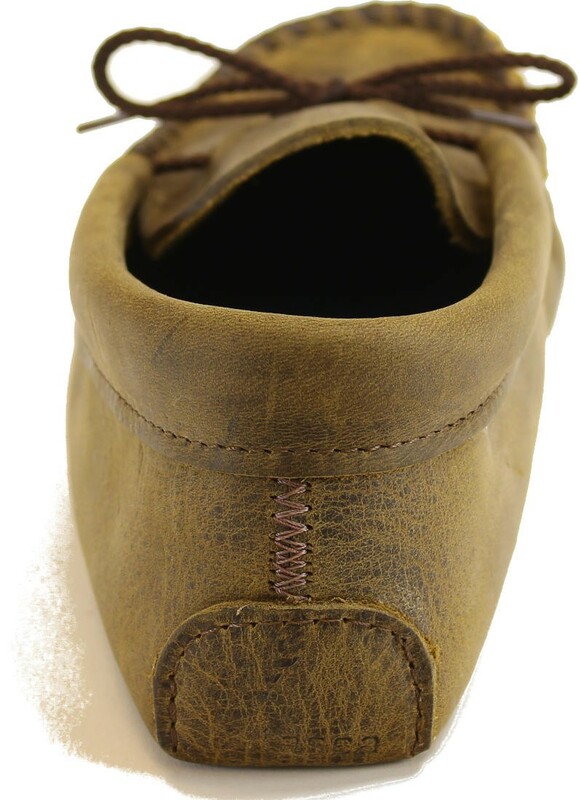 This particular leather has quickly become one of our favorites, with just a hint of a greenish-gold cast. 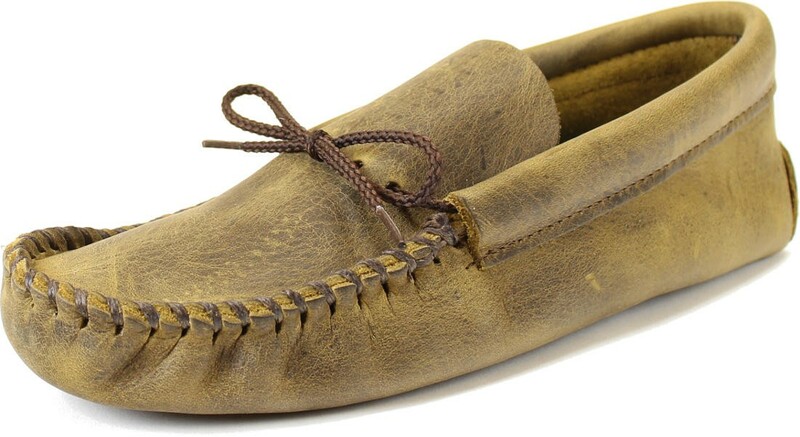 Downright handsome, in a rugged kind of way. 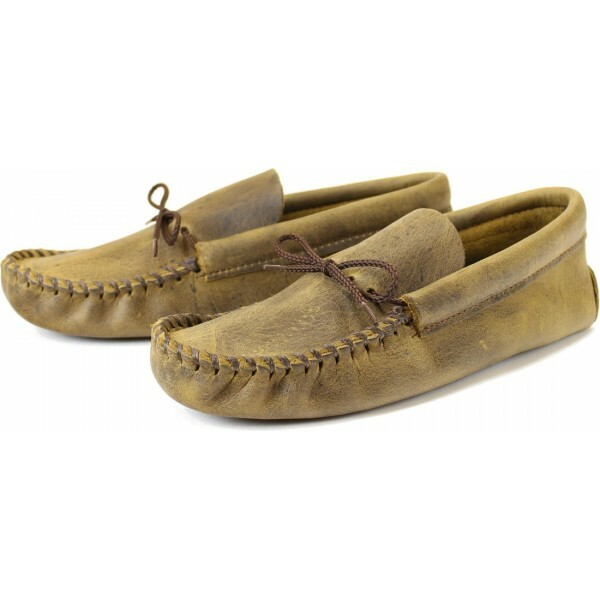 Our single-sole moccasins are incredibly comfortable with a true barefoot feel. 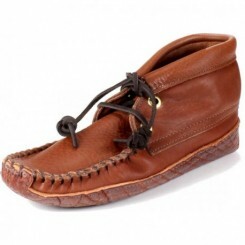 Slightly less structured than our more popular double-sole Cota moccasin, they're still meant for indoor/outdoor use. 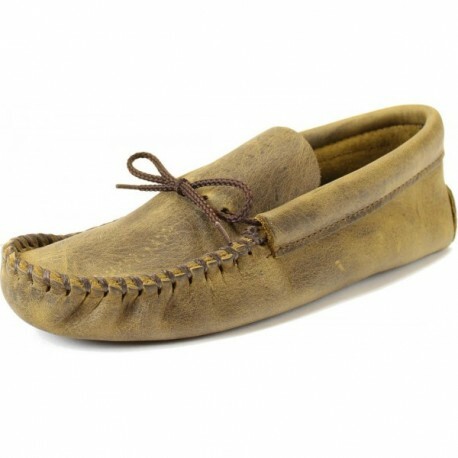 In northern climates, we consider these appropriate for three season use, spring through fall, but in southern climates they're perfect for year-round use. 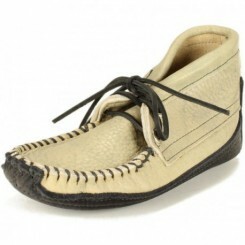 Consider these as a great alternative to flip-flops, sandals and athletic shoes. 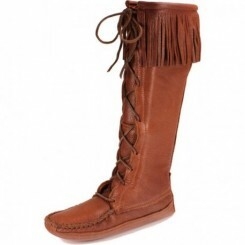 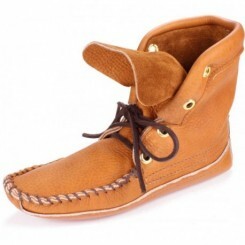 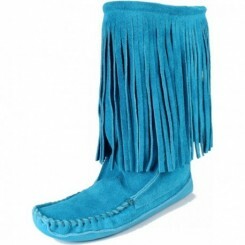 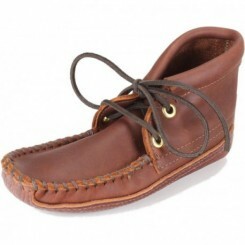 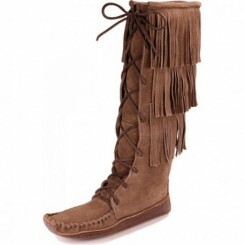 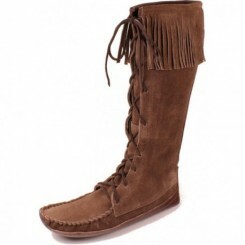 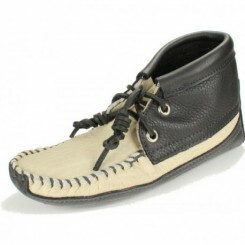 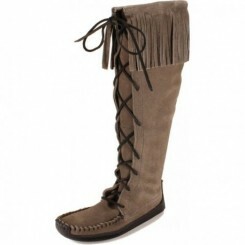 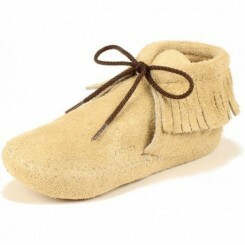 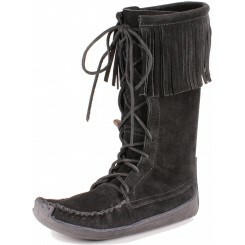 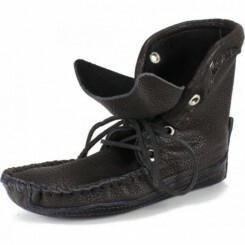 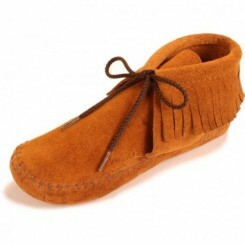 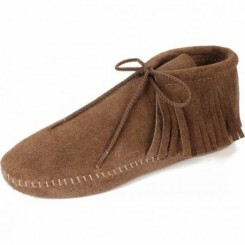 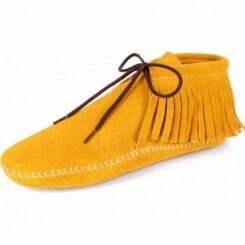 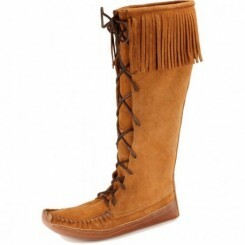 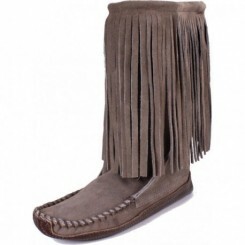 Moccasins should start off fitting snugly and the leather will conform to the shape of the foot as you break it in. Runs a bit generous for size. 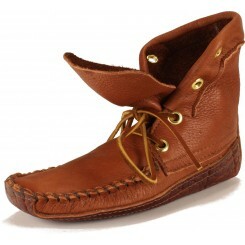 Consider ordering one-half size smaller than your normal shoe size.